King’s Venues – Bush House has launched its healthy break options for Spring, to ensure delegates have the best start to meetings at the venue. The former home of the BBC has replaced mini pastries and bacon baps with seasonal fruit compote, vanilla yoghurt and granola pots and also brown baps with smoked salmon and cream cheese – the perfect, fresh food for a Spring day. 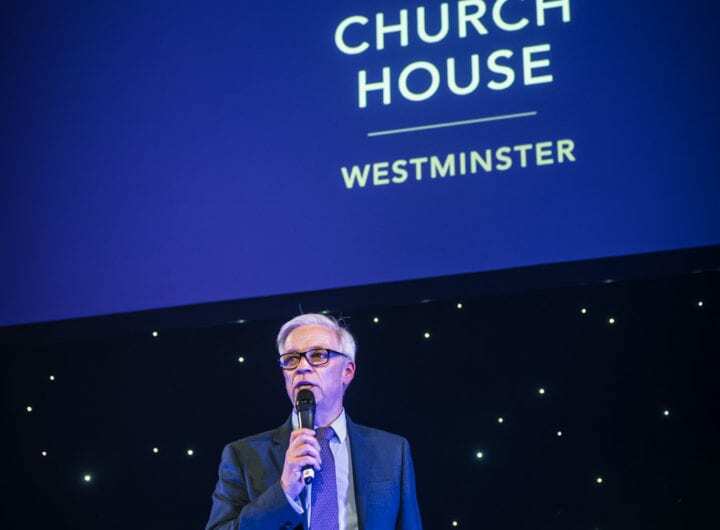 Contact the King’s Venue – Bush House team for more information on the DDRs, which start from £45 (inc vat) on 020 78481700 or kingsvenues@kcl.ac.uk. London’s QEII Centre is giving event planners a taste of life in the kitchen with the launch of a brand-new chef’s table tasting room. QEII’s new tasting room looks directly into the centre’s busy kitchen, which caters for up to 2,500 delegates a day under the guidance of head chef Jean Michel Viala. Event organisers will now be able to arrange a private menu tasting as part of their event booking at the QEII Centre, with a personal welcome from Jean Michel and an introduction to all the dishes being sampled. The House of Commons has launched its new menus ready for Autumn and Winter 2016. Whether you are looking for a free range chicken breast or a classic beef Wellington their wide range of dishes will help create a memorable feast for your next event. The House of Commons offer an extensive range of poultry, game, meat and fish to ensure that your guests are well fed and its award-winning pastry chef uses seasonal fruits and ingredients to ensure that the desserts are the perfect end to a delicious meal. The sourcing wherever possible of the best regional and organic produce is at the heart of all their banqueting menus. The South of England has some of the finest producers and suppliers in the UK and the House of Commons are delighted to champion their fabulous produce. Adam Ismael, head chef at St Martin-in-Fields is pleased to present a series of delicious new menus for events at this Trafalgar Square venue. Appointed in 2013, Ismael’s career background encompasses West End restaurants and prestigious events, including state banquets at Buckingham Palace. Since becoming head chef, Ismael has opened Café in the Courtyard, revitalised the daily menus in the Café in the Crypt and this season he will introduce a new series of menus for events and meetings at St Martin’s. From canapés and fork buffets to sit down dinners, the new St Martin’s menus are sure to delight every client. For more details of St Martin’s menus and for information on room hire and availability email events@smitf.org. Private members’ club The Rag has relaunched its menus for events, bringing a new level of culinary expertise to the offering at this exclusive venue on London’s Pall Mall. Executive chef Paul Elliott’s career spans numerous prestigious establishments, including a three-year role as personal chef to the Aspinall family at Howletts Mansion in Kent, well known for its work with endangered wild animals. The new private dining and banqueting menus feature the best British produce, promoting the use of rare breeds from British farms that practice the highest standards of animal husbandry. Only the finest meats make it into classics such as Tournedo Rossini and roasted loin of ‘Denham Estate’ venison wellington. Using the new ‘menu selector’, event organisers can create their own event menus, choosing from an array of both classic and modern dishes. Request a copy of The Rag’s new event menus by contacting Emily Moss, events manager via email at Banqueting@TheRag.co.uk or by phone 020 7930 9721. 76 Portland Place, home of the Institute of Physics, is renowned for pushing the boundaries of innovation to deliver show-stopping, sustainable event menus and now, after months of experimentation in its kitchens, the team is pleased to announce the launch of its ‘Molecular Tasting Menu’. It is available now for anyone looking for something different and unique at their next fine dining function. Combining a number of complex and intricate techniques, Leo Rodley, executive chef at 76 Portland Place, and his team have used sophisticated methods and the latest equipment available to create menus which appeal to the senses and play mischievously on the palate to create a memorable dining experience. The tasting menu features seven courses, with high quality ingredients which can be manipulated to take on different textures and enhance natural flavours. Highlights include table smoked salmon mi-cuit, prepared sous vide and served under a glass cloche, enrobed in the delicate, heady aroma of apple wood smoke, or a 72-hour-roasted beef rib and Dexter beef fillet with broccoli three ways, dehydrated nettle leaves and a rich port jus. Some of the dishes can be prepared table-side, to dramatic effect, like the nitro-poached green tea mousse – a refreshing palate cleanser. The molecular tasting menu is bespoke and available to anyone booking a fine dining event at 76 Portland Place throughout 2013. Prices are available on request for between 4 – 20 guests. For more information, contact Jenny Hullock at jenny.hullock@76portlandplace.com or on tel: 0207 470 4871. Award-winning event staff supplier, recruitment consultancy and professional training academy Off to Work is delighted to launch its Event School for 2013, with a special focus on style and design. With names like Masterchef winner Keri Moss and former The Apprentice contestant Miriam Staley within the speaker line-up, bookings are expected to be snapped up quickly for the two-day workshop series, which will run on Tuesday 9th and Wednesday 10th April at the London Irish Centre, Off to Work’s dedicated Training Academy in Camden, London. Building on the success of last year’s school, Event School 2013: Style & Design will bring together renowned professionals from successful creative businesses to deliver a practical, workshop-led programme focusing on specific areas of the event planning and delivery cycle. From a designer ‘mocktail’ mixing masterclass with Sejuiced and a lesson in wine buying for events with Blanco & Gomez, to workshops in food styling and event storytelling through photography with Red Photographic, room theming and lighting with Wise Production, plus content marketing and event communication tips from Custard Communications, Event School 2013 is aimed at event planners, event coordinators and managers, event agencies, caterers, F&B staff, chefs, marketing staff and business development teams. Highlights of the programme include a networking lunch and concurrent panel debate on ‘Menu design for events’, featuring Keri Moss, winner of MasterChef: The Professionals 2012, Nick Mead, director at Eden Caterers, Vicky O’Hare, managing director of Party Ingredients and Gerald Aberdeen, executive head chef for Table Talk. These expert menu developers and chefs will share tips and tricks for planning a show-stopping selection of dishes that are not diluted by challenging dietary restrictions. The workshop style of the programme means that delegates can pick and choose which ‘modules’ best fit their job role and requirements and attend these sessions as one-off learning experiences. Attendees working in events and hospitality will leave inspired and equipped with tangible skills to aid their career development and to maximise the impact and profitability of future events. “We’re pleased to welcome our clients, our team and all events professionals to attend any or all of the Event School’s workshops. We’ve designed workshops to be intimate, with a cap on 20 people, to ensure you can enjoy a focused and interactive learning environment,” said Philip Atkins, managing director, Off to Work. The exceptions to this are the educational, networking lunches. A vibrant and sociable company, Off to Work has been providing the finest, skilled staff to the events and hospitality industries throughout the UK and overseas since 2001. Throughout this time, the company has stayed true to its guiding principle ‘to help provide some of the best experiences and memories people have ever had’ – something they achieve by remaining committed to hiring only the people most passionate about hospitality. Event School 2013: Style & Design will take place on 9th & 10th April 2013 at London Irish Centre, Camden Square, London, NW1 9XB. For the full workshop programme, to find out more information or to book, please email Lucy Katan, call 020 3155 1975, or visit the dedicated website page. Workshops are priced at £40+VAT each and package rates are available if you’d like to attend multiple sessions. Seasonal produce is something which is often talked about and seen to be promoted but isn’t all that often upheld. Is it really important or is it just another one of these fashionable things to be seen to be doing? 76 Portland Place advocates the promotion of seasonal and sustainable produce and outlines a number of reasons why it is something you should consider when booking a venue for an event. Food and drink is incredibly important to clients today when booking an event, from the taste, to the look and where it has come from. With growing concern over food miles, genetic modification of so much of our produce, and the increasing desire to help British farmers keep hold of their livelihood, it is something well worth considering when booking an event. Here are some top reasons to make sure that the food on offer at your venue of choice is seasonal and locally produced. Food is fresher and healthier. The less processed food is, the better it is for you, packed full of vitamins and usually far tastier too. If food is fresh and hasn’t had to travel too far there isn’t the need for the amount of preservatives that are so often found in food and drink and fruit and vegetables have a chance to ripen before they get picked which improves the flavor without a doubt. Today, people are far more aware of the decline of British agriculture and the importance to try and sustain this where possible. British produce is appreciated more now than ever before and people want to help local farmers where they can rather than relying on food that is distributed by large manufacturing companies. Believe it or not seasonal produce as well as being tastier and healthier, is often cheaper than buying in produce from overseas. Shipping costs continue to rise astronomically as the price of fuel increases and there is also the additional cost of preserving the food. So there you go, some food for thought – next time you’re booking an event why not ask about the catering and see what is on offer? Whether your client is concerned about corporate social responsibility, their health or just tasty, fresh food – they will be delighted you are one step ahead and already thinking about the finer detail. 1) Sounds very obvious but let’s start with the basics – get planning! How many people are you expecting and what are their expectations? Once established, brainstorm – what can you do to really get them excited and what will be truly different? 2) Some of the best ideas work hand-in-hand with the venue – is there a stunning rooftop which could act as the perfect backdrop or a glamorous ballroom for a truly outstanding champagne reception? When it comes to the food – our advice is to talk early on in the process to the chef. They are the experts and will love nothing more than a chance to do something a bit unusual. Themed canapés, dishes and desserts are a sure fire hit – if it fits the atmosphere what about having dishes named after each of the evening’s key players? Perhaps a tailored cocktail named after a new product/ honoured guest/the company etc? If you’ve got the budget and it’s the right time of year try something spectacular – perhaps a full hog roast buffet or hitting on the current trend for all things eco, go for a totally meat-free evening, with all produce sourced sustainably. 3) All-in-all aim for impact and keep things relevant. That’s why step one is so important. It’s no good getting that 7ft company-themed blancmange if you know the event is to celebrate the company’s brand new, dairy-free range! And finally, take comfort that as your event cheerfully goes off with a bang, whatever feat you manage to pull off this year, your successor’s got to try and better it! Whether it’s trays laden with luxurious canapés, plates of sumptuous sandwiches or three-course gourmet meal, the secret to a standout event is truly mouthwatering food. Good ingredients and expert preparation are an important part of this, but knowledgeable menu planning is the real key to success. Below you’ll find some top tips to make sure your menu’s are the talk of the evening. It goes without saying – every event is different and it is worth considering some personal touches to really help draw everything together. If you’re organising an event for a notorious chocoholic, you could work a subtle cocoa theme through the courses whereas someone with a spicier penchant would appreciate a menu that is hot hot hot! As the old saying goes ‘don’t eat hot broth in summer’. Ok, we made that up, but just like your wardrobe, your menu should change with the seasons and a good chef will be able to steer you through this process with an expert eye. Make sure the chef uses fresh, seasonal ingredients that will complement the time of year and leave your guests delightfully satisfied. The buzzword of the moment – seriously, even the banks are getting in on it with something called ‘green banking’ – you need to get serious about your event’s carbon footprint and your chef can help by sourcing local produce from sustainable suppliers. The benefit of this for your event is clear – fabulously fresh food and some media-friendly stats to top it off. Those are three fairly solid starting points – providing you don’t stray too far you won’t go too wrong! The real key is to sit down with an expert chef and spend some time working out what’s best for your event and plan accordingly. When you factor in all the other key ingredients (see what we did there!) you’re sure to have an event to remember.